Our Annual Sale Is On - Come And See The Show! Our Annual Sale continues through October! Lots of Fall Colors Showing Now - So Come And See The Show! 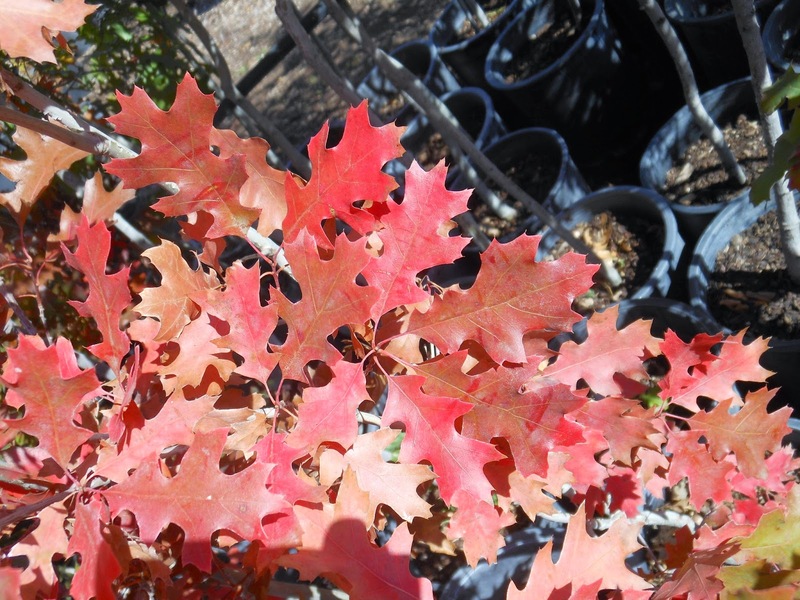 Many of our Texas Red Oaks Are Displaying Vibrant Reds, Maroons, and Orange. 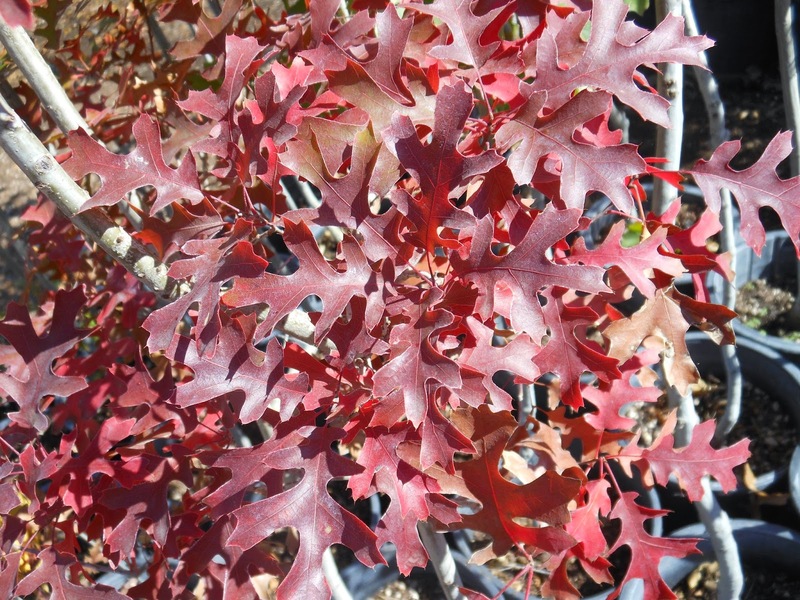 Our Texas Red Oaks Are Discounted 25%!! 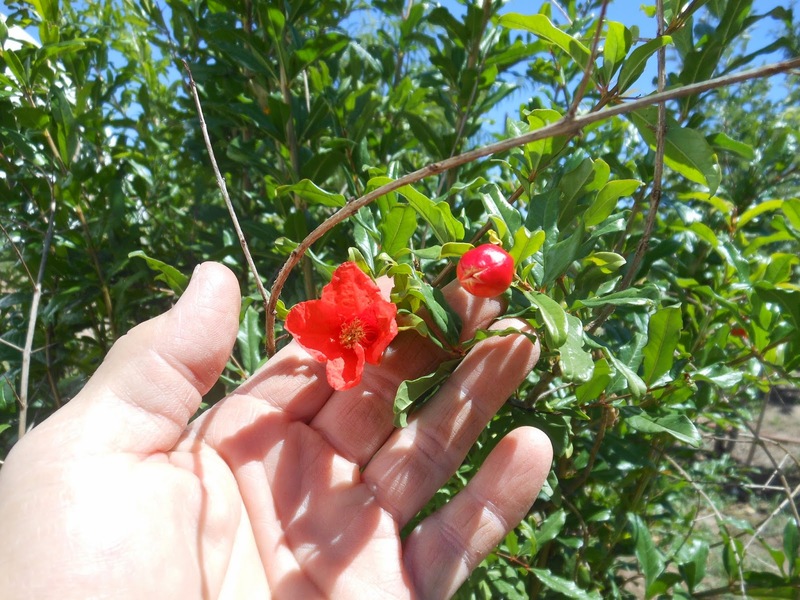 Trees That Please Nursery has been growing a Pomegranate Tree that had it's origin in Afghanistan. It has been in the ground outside now for several years and even went through a winter where the low temperature reached -19 degrees F. This year it produced flowers for the first time in July and August. Several small fruits were produced and we tasted it for the first time on October 25th, 2014. We hope to make this variety available in the near future. 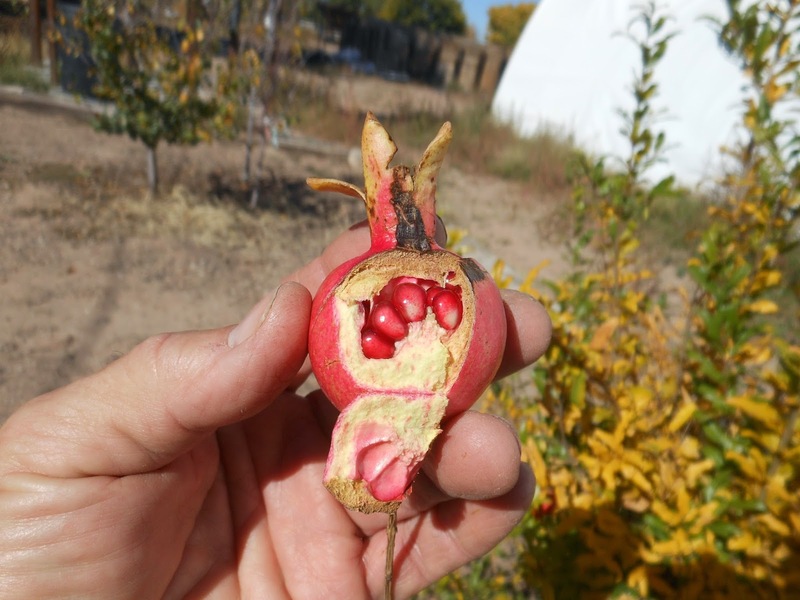 Prior to growing this pomegranate we have had the variety "Wonderful" planted but it has a tendency to die back to the ground each winter. This new variety does not die back to the ground during winter. Follow this Blog for more information and availability. Pink Lady Apple Trees On Sale! During October Pink Lady Apples are on Sale at Trees That Please Nursery! The Pink Lady Apple tree, also known as Cripps Pink, was developed in Australia from a cross between Golden Delicious and Lady Williams. It is a late season apple ripening in October. 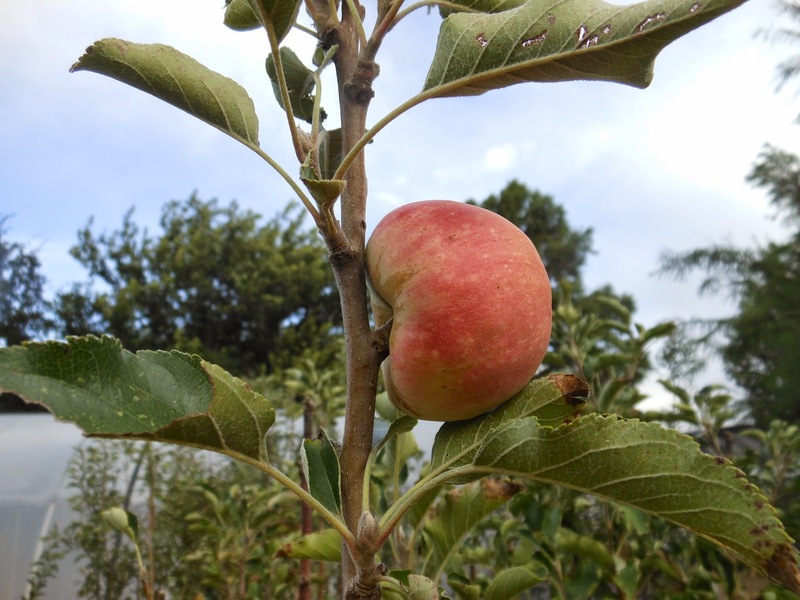 In fact, at the nursery we have a few Pink Lady trees with ripe apples on them now. These trees went through our late frosts this spring and managed to produce a few fruits. 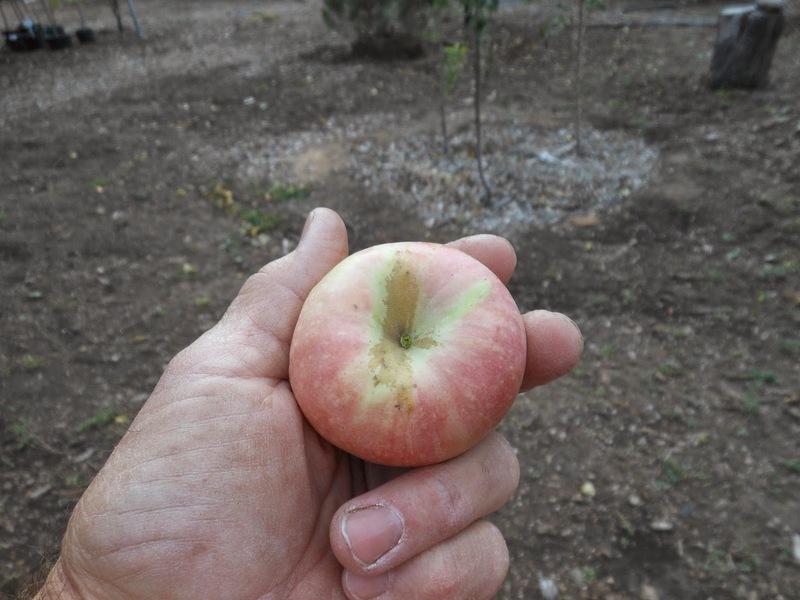 Pink Lady apple trees require a long, warm growing season for best growth and development so should be ideal for many areas around New Mexico. Pink Lady apples are both sweet and tart to the taste. They are good for fresh eating, pies, and sauce. They will keep for about 3 months in cold storage. Pink Lady apples are not self-fertile and so require a second different apple variety nearby for pollination. If Pink Lady Apples are one of your favorites come in during our October Sale and save. We also provide planting and care descriptions with every purchase! New Mexico, and the Southwest. A Sweet and Juicy Peach picked at peak ripeness off your own tree? Imagine that first bite, it almost splashes onto your cheeks and lips with sweet goodness. If you have been thinking about adding a peach tree to your backyard orchard then act now while Trees That Please Nursery is having their Annual October Sale! These peach varieties are self-fertile so you only need one tree to get fruit! Pixie Peach is a genetic dwarf and only gets about 6’ tall and wide, so makes a good choice if you have only limited space available. Polly White Peach is a white fleshed variety with excellent flavor! Most Peach Tree varieties also have great fall color - something extra to enjoy! Are you looking for some fruit trees? We still have a good selection of Fruit Trees and they’re discounted during our October Sale! We can provide detailed descriptions of each variety and tell if they are self-fertile or need a pollinator. Sweet and Juicy is one of our primary factors in choosing any fruit tree variety for our area. In addition, we try to stock “late-blooming” varieties to help get past our late frosts. You are invited to come on in at your convenience and look at our inventory. If you have any questions please ask our friendly staff! Do You Like Oak Trees? 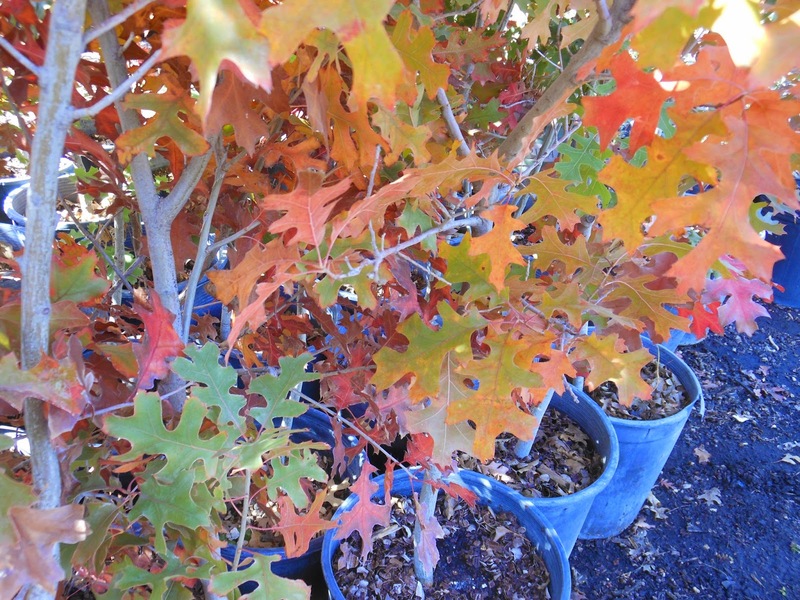 If You Like Oak Trees Then Be Sure To Visit Our Nursery During October! During our October Sale many of our Oak Trees are discounted 25%. Many are available in 5 and 15 gallon container sizes. We have some varieties available in larger root control also. We're Cleaning The Place Up! the Trees That Please Nursery Annual Sale. 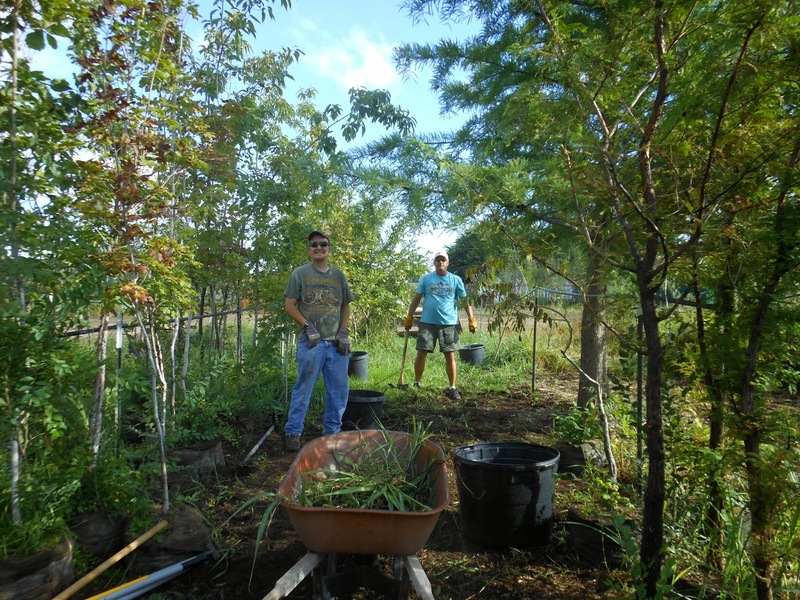 Here are Lucas and Brian weeding one of our tree rows! We have Shade Trees, Ornamentals, Shrubs, Perennials, Cacti, Fruit Trees, House Plants and most of these are discounted during the month of October. We also carry bagged and bulk mulches, and Soil Secrets Products to build and sustain your soils. The Sale Is On, And You’re Invited! Come in during October and enjoy discounts on many of our trees, shrubs, cacti, and fruit trees. 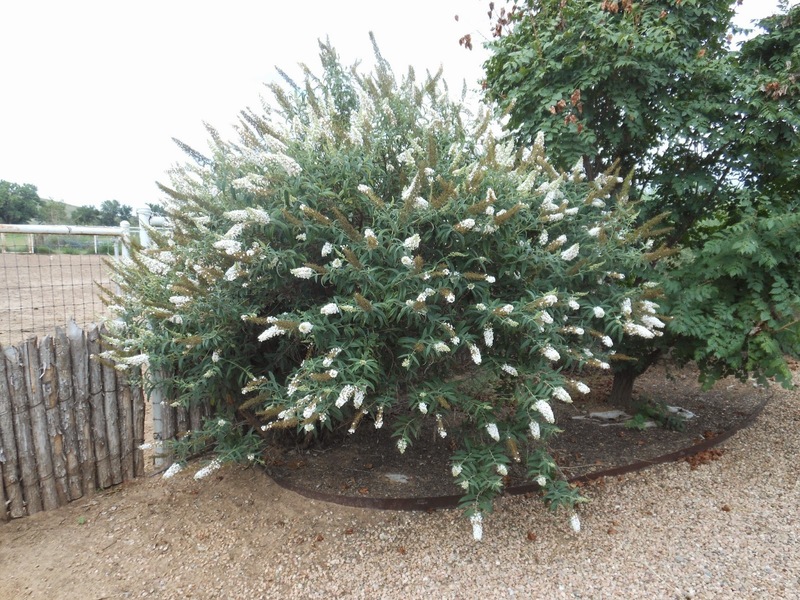 For example, many of our shrubs like the White Flowered Butterfly Bush are discounted 25%. Fall is a great time to plant! 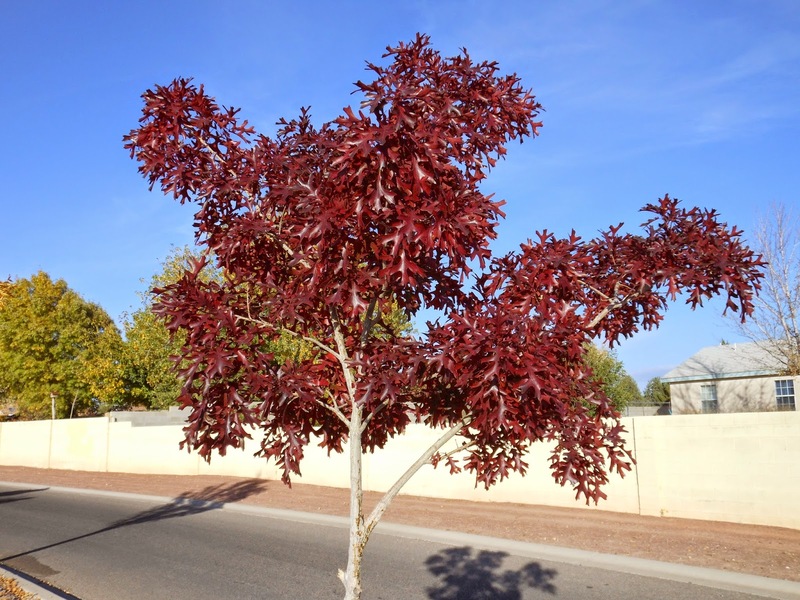 Cooler temperatures translate to less water stress on newly planted trees and shrubs! Come on in and stroll through the nursery, look at our inventory, and if you have questions ask our friendly staff. Our October Sale is finally here and is loaded with great deals! Many trees and shrubs are discounted 25 percent, and fruit trees 10 percent. We're open seven days a week from 9 am to 5 pm Monday through Saturday and Sunday 11 am to 5 pm. Come in and check out all our sweet deals! Its the perfect time to plant! 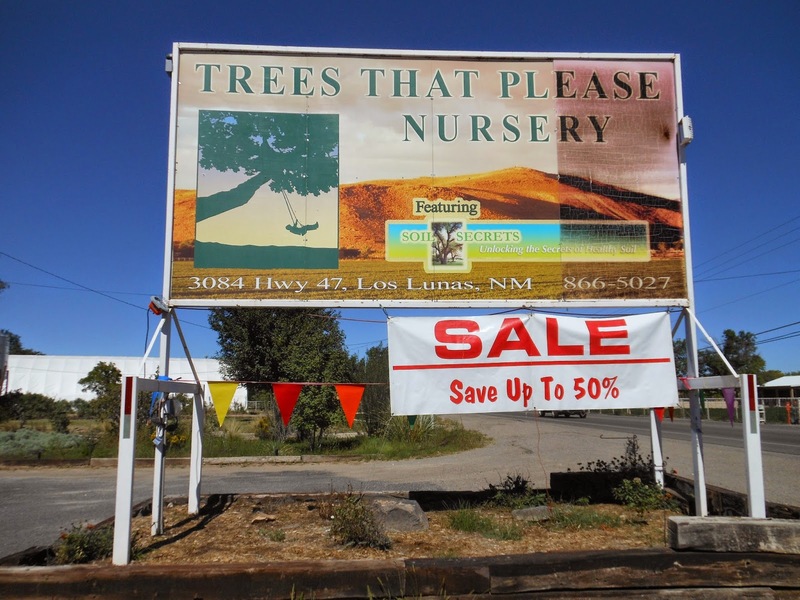 Call us at the nursery if you have any questions at 505-866-5027.